Both of these stories were available for £1 on World Book Day, March 3rd, and are still available as e-editions. 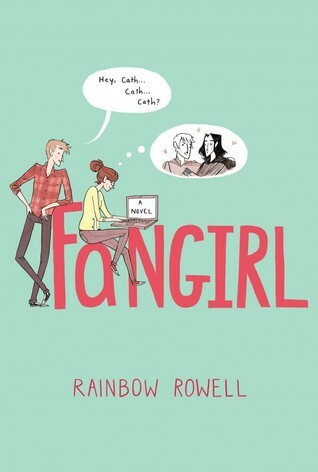 This was a classic Rainbow Rowell story in that the romance was adorable, and follows the same kind of fangirl culture, similar to Fangirl itself. Elena, our protagonist, decides to camp out in front of the movie theatre a few days before the release of Star Wars: The Force Awakens. She’s already bought a ticket online, but it’s the ritual of devotion to the franchise, no matter how unnecessary. Gabe and Troy are the only other people in the line. Not only is this a romance story, but a story about being a fan of something, and how we need to show the world we like something, especially online. Gabe even has this little speech about nerd/geek culture and how it’s cool to be part of a fandom nowadays. We could both talk for a long time about fandom culture, so we won’t, but just know it sparks some interesting thought. The scenario was really unique and the characters were witty. It was something you could enjoy for an hour, and be sucked in by. The one thing that niggled at us both was the convenience of the relationship between Elena and Gabe. It turned out that they both knew of each other before the line, as if that would make up for the shortness of the story. It just felt a bit incomplete. 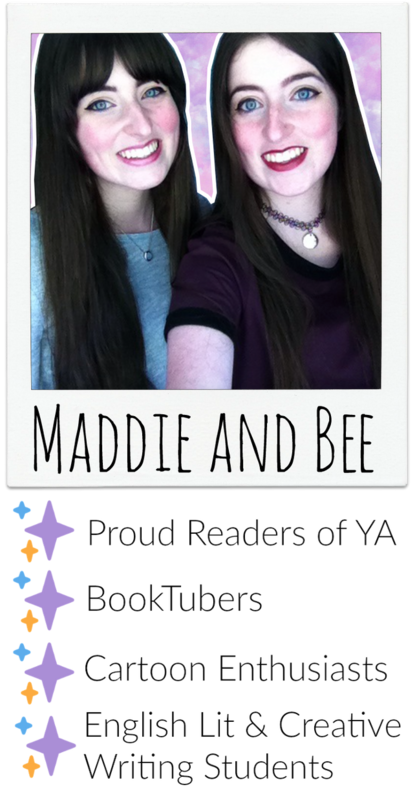 This book was really refreshing because the main character, Avery, had acne. I’ve never seen that dealt with as a serious topic in a book before, which seems ridiculous because a lot of teenagers suffer from it, and if not from full blown acne, then definitely from the odd pimple or two. The plot revolves around Avery getting some treatment for her spots and becoming beautiful as they disappear. Because of this, she is accepted by the most popular crowd (which really brings to light how superficial popularity is in high school.) While this is happening, there’s an election for head boy and head girl, and Avery is persuaded to go for it. There were some really lovely messages in this book, about loving the skin you’re in, and being true to yourself, and having loyalty to the people who have been with you through thick and thin. Although the story line could be predictable (because the adoption to the popular crowd is a trope) the characters and their actions were believable, so we didn’t mind. This story could be read by every person in secondary school, because the characters feel a little ageless. They could be in Year Seven or Year Eleven, and the same dynamic would apply. Overall, Spot the Difference worked excellently in a small number of pages. It could have been a much longer book, but it was just really concise and wonderful. We loved the humour and the positivity about being yourself, so this was definitely a favourite of the WBD books we’ve read. 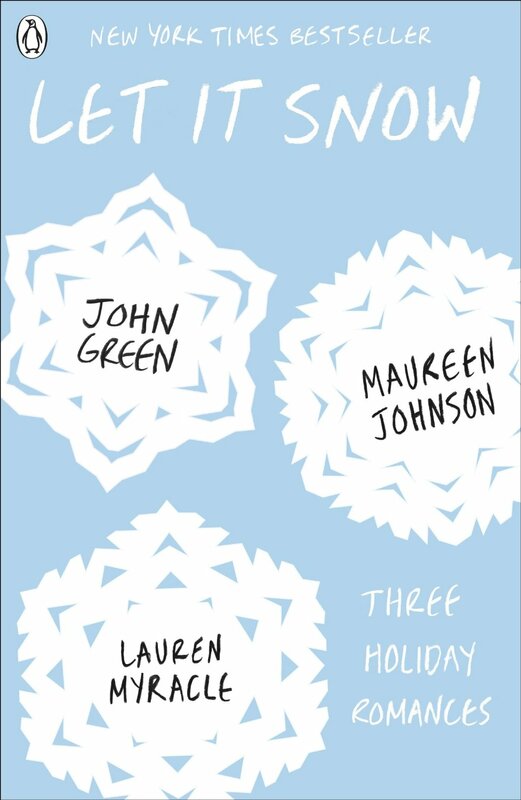 This is a super cute collection of short stories that are all linked, like ‘Love Actually’. The authors’ writing styles really compliment each other and all the characters are so well developed in a short amount of pages. My favourite story in the collection was probably Maureen Johnson’s, the first in the anthology, and I hope to read more of her work soon! Basically, this in another anthology filled with short Christmas stories written by everyone’s favourite authors. They’re so sweet an quick to read, perfect for falling in love, as the tag line says. These really get you into the Christmas mood, without a huge commitment to 400 pages as they’re not all interlinked. Christmas just seems to be the season to read collaborations. 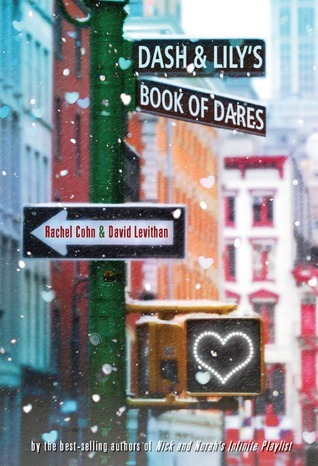 The book is set in a wintery New York and is about two unsuspecting teens finding romance. What’s not to love? Again, this is a quick read, but full of laughs and anecdotes, you can’t help but feel cheerful the whole way through. I chose ‘Fangirl’ because I think there’s a real emphasis on the importance of family and communicating with them, which is a great message for the Christmas season. All Cath is in a completely new environment, her family and love interest offer her comfort and security. A tear-jerker, but the most adorable and relatable book ever written. This might seem like an odd choice because there’s nothing Christmassy about it at all. I mean, a war between factions, with murders, conspiracies and battles? Not exactly all merry and bright. However, I think it’s the perfect book to take you somewhere completely new. It will absorb your whole mind and make your heart race – something to keep you completely occupied on a Christmas afternoon. I know what you’re all thinking about the cover. Lobster? Not that relevant. ‘The Rosie Project’ by Graeme Simsion can best be described as John Green for adults. Although marketed on NetGalley as a young adult book, after reading I feel that new adult would be a better category. This book would definitely fit alongside ‘Landline’ by Rainbow Rowell on your bookshelves. So, we follow the perspective of Don, a geneticist who’s socially inept. It’s never explicitly mentioned, but I assumed he had a mild case of autism which, in his job, worked to his advantage. His main aim is to gain a wife as he believes he is incompatible within a relationship and can count the number of friends he has on one hand. Of course, with his methodical brain, he develops a questionnaire to find the perfect partner. But, if romantic comedies have taught me anything, it’s that what you want isn’t necessarily what you get. Enter Rosie, your factory setting manic pixie dream girl. She allows Don to change himself and improve his reactions to society. Rosie pushes him out of his comfort zone and strict schedule in order to show him what he’s missing out on. Your typical Alaska girl, complete with desired figure and a bad smoking habit. Despite the formulaeic character of Rosie, Don was a breath of fresh air as a protagonist. He wasn’t afraid to question why people do things and the morals of their actions. He was intelligent and an accomplished person in many extra-curricular activies. If it wasn’t for his inability to feel comfortable in social situations, he would have been the most popular guy around. Just like ‘Landline’, I wasn’t expecting a mature book. I should have been more clued in, seeing as the characters are thirty-nine and twenty-nine (talk about an age difference!) so I couldn’t complexly understand the situations they were in. Yet, this did not hinder my enjoyment of the novel. I don’t want to spoil anything, but one of my main complaints with the book was its rapid last chapter. It was like ending a book with ‘and they lived happily ever after’ without actually describing any events that led to their eventual happiness. Overall, I would give ‘The Rosie Project’ 3.5 stars, just because I didn’t completely fall in love with the book, and Rosie was quite generic as love interests go. That said, I did laugh out loud quite a few times, which will always bolster the star rating of a novel. From the two stories I’ve read from this anthology, I can just say that October 14th could not come fast enough. In the excerpt given, I got the chance to read Rainbow Rowell’s and Stephanie Perkins’ editions to the holiday short story collection, ‘My True Love Gave To Me’. I’m guessing, because they’re romantic stories, the main characters get a kiss, but I’m hoping that someone gets six geese. I imagine the culmination of these stories happened in a boardroom, similar to ‘The Apprentice’, with Stephanie Perkins at the head of the table, delegating work to her eleven author elves that must churn out stories for Christmas. So, Rainbow Rowell’s story was obviously written by Rainbow Rowell. There’s definitely not some Christmas ghostwriter out there, dictating what the authors write. In a similar style to ‘Landline’, the story takes place through flashbacks to previous New Year’s Eve parties. We get to see the friendship between Mags and Noel as it develops from just acquaintances to please-be-mine-forever lovers. It was adorable. I love it when a story line is quite circular, where things that were planted, earlier on in the story, grow into something constant and recurring. This was also the shorter of the two stories, but because it takes place over three years, it feels a lot longer. Heck, I would have been happy to read about Mags’ and Noel’s New Year’s Eve parties for a whole novel. Can that happen? As for Stephanie Perkins’ edition to the anthology, I was equally impressed. It held her usual romantic and humorous style within fewer pages and managed to deliver a very satisfying story that gave my cheeks a warm glow. I loved that the main character, Marigold, and her mother were struggling with their bills and general living – it’s nice to see that these issues and real life situations are still being dealt with in short stories. Even though these stories are romantic, they are not romanticized. Marigold and North were both adorable characters, on par with Anna and Etienne. Perkins’ characters are so quirky and loveable it’s hard not to enjoy whatever she writes. I need more short stories from this collection ASAP. These ladies have definitely set the standards high and have done what they do best. It looks like my true love gave to me a five star book. ‘Landline’ by Rainbow Rowell fits more perfectly into the ‘New Adult’ genre of literature. 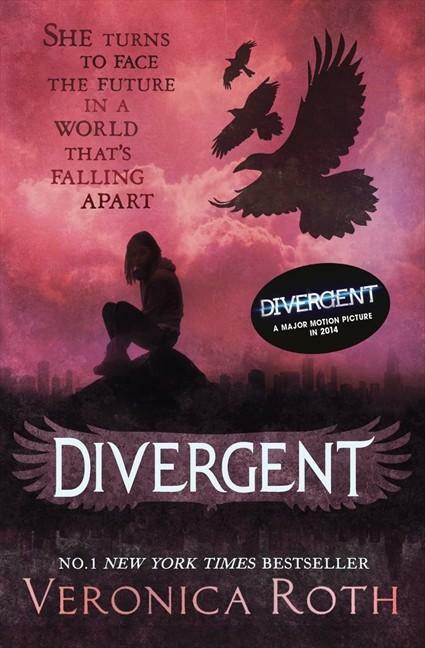 Due to there being no characters in the book between the ages of 15-20, ‘Young Adult’ may have been an understatement. Although this is all quintessential to the plot, the really interesting idea is that Georgie has a phone in her present that can connect to a phone in Neal’s past. Through this magical device, she is able to talk to a younger Neal, who is contemplating proposing to Georgie. As anyone would, older Georgie takes this opportunity to smooth over younger Georgie’s mistakes and put right her relationship with her husband. This doesn’t quite go to plan. The scenes where Georgie was on the phone to younger Neal were quite repetitive. They’d follow the pattern of younger Neal, not knowing older Georgie’s downfall’s, convincing her that he loves her while the older Georgie tries to convince him that they’re not right for each other. I could read about this struggle once, but three times was kind of a push. There are also parts of the book that are flashbacks to Georgie and Neal’s relationship at its roots, when they were first getting to know each other. These were the cutest parts, but as we were only reading from Georgie’s perspective, we didn’t get to see that Neal really really liked Georgie, though he wasn’t very good at showing it. In a way, their relationship was unequal from the start, with Georgie thinking that she loved Neal more than he loved her, and with Neal thinking the other way around. The problem was definitely communication. They definitely needed to talk more. Thank goodness for this magical phone! If only Georgie would stop being so negative about herself. The other problem with time travel is messing up the future. Georgie was under the impressive the phone worked in a ‘Back to the Future’ or ‘Meet the Robinson’s’ system but really, we were looking at your classic ‘Prisoner of Askaban’ contingency system, where every action is predetermined to make the future. Nice one. All is resolved at the end, which is nice for the McCool family, but in my opinion, the whole book could have told the same story in a lot less pages, with less emphasis on Georgie’s life and more emphasis on her ability to fix her broke relationship (successfully, I might add!) For this reason, I’m going to give this book 3.5 stars, because although I liked it, the characters were much older than me. I couldn’t sympathize with them well and the story felt a little drawn out. Nothing to make me stop reading completely, but nothing like ‘Fangirl’.